Welcome to Alphonse Atoll – Alphonse Fishing Co.
Alphonse Fishing Co., operating off Alphonse Island, offers its guests a unique and exciting chance to fish the abundant waters of the Seychelles. 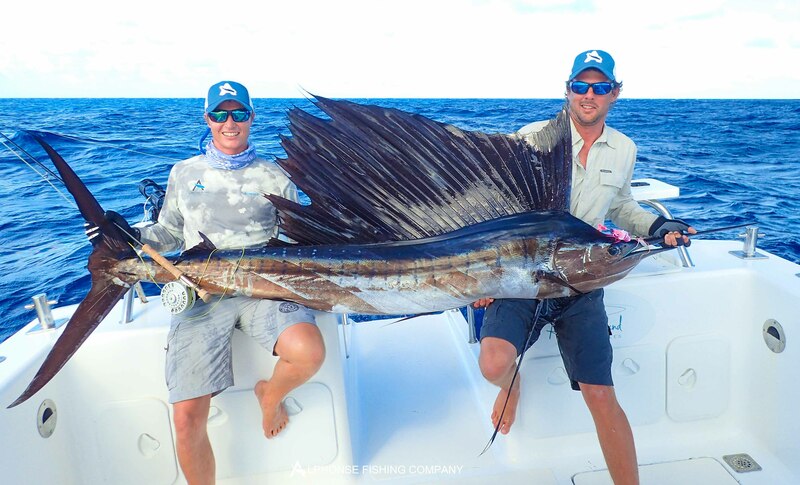 Home to exquisite natural beauty and prolific marine life, it is a dream-come-true destination for both nature-lovers and fly fishermen looking to test their salt. 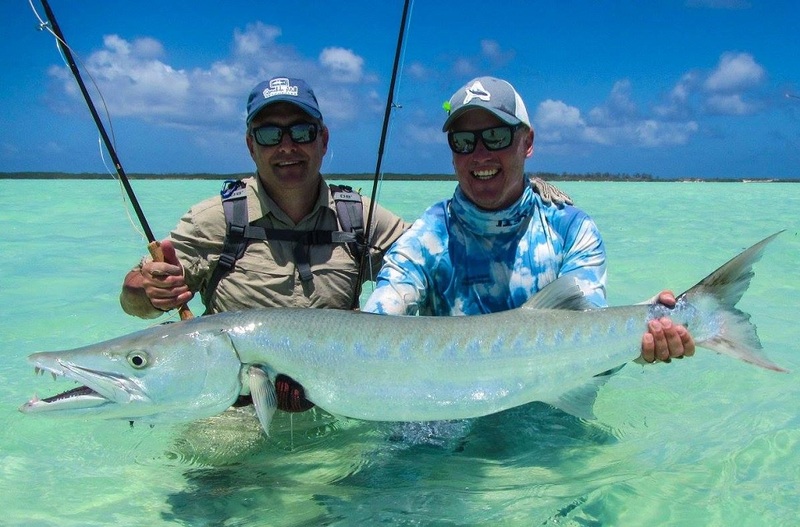 AFC was established with one simple goal in mind – to offer the best fly fishing experiences in the Seychelles created for fly fishermen by fly fishermen. 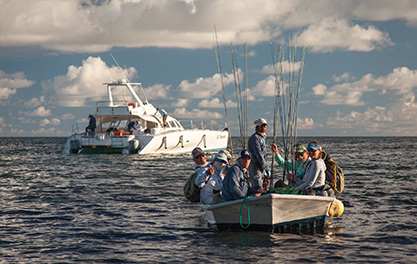 The top notch team consisting of 36 guides, captains, deckhands, managers and specialised staff is dedicated to ensuring guests have an unforgettable experience tailored to best suit their fly fishing requirements. Alphonse Group is located in the heart of the Indian Ocean and consists of the beautifully remote Alphonse, St. François and Bijoutier. 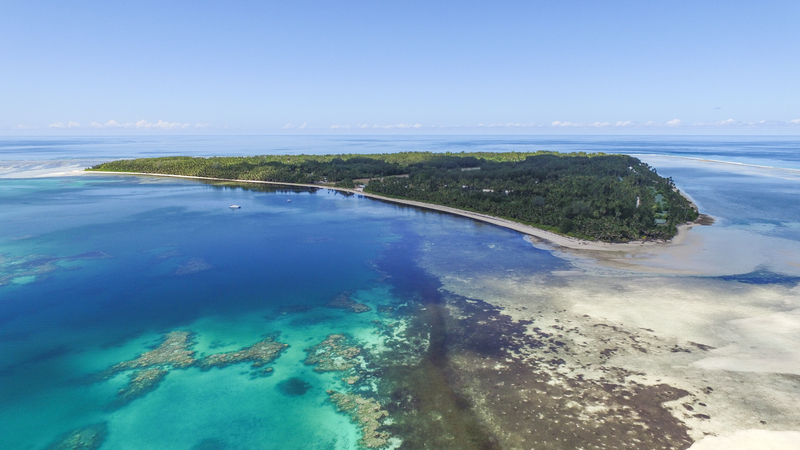 These islands comprise of long stretches of unblemished shorelines, clear lagoons and stunning flats. All of this is combined with ideal weather conditions as well as the convenience of having access to 3 pristine destinations in close proximity to your stylish lodgings. 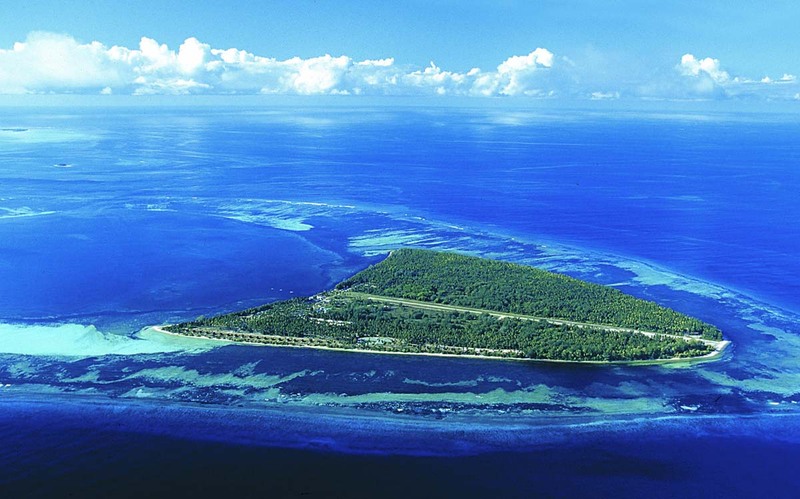 The island-inspired, simple yet spacious accommodation is located on Alphonse Island and includes 22 Beach Bungalows and 5 Beach Suites. The accommodation is set into the lush tropical plantations of the Island and mere meters from the water’s edge. The main hotel dining and lounge areas offer the chance to mingle with other guests as well as feast on delicious Creole cuisine and fresh produce farmed on the island. Guests not only focusing on fly fishing can also enjoy the island and ocean experiences on offer, like scuba diving, cycling, guided walks and more. 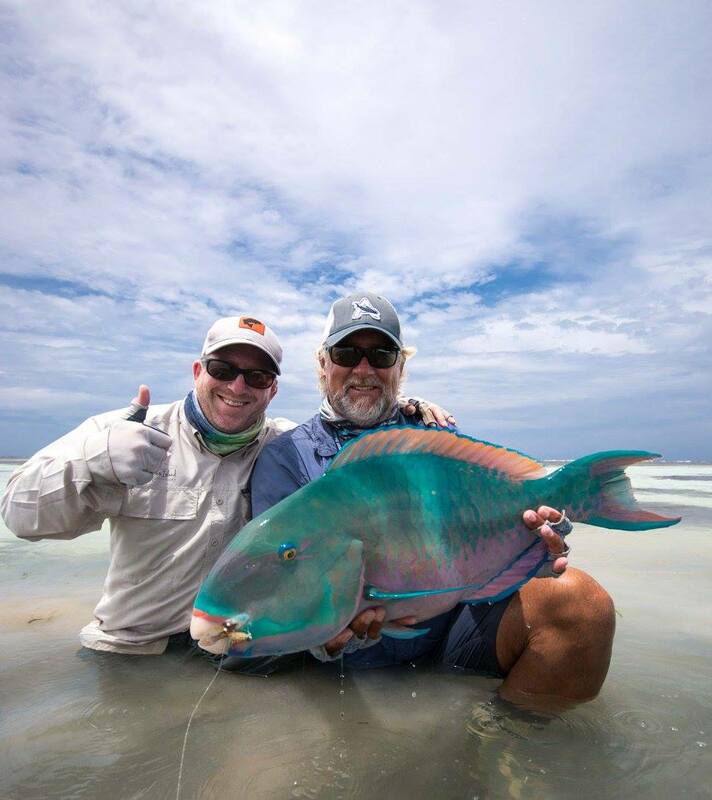 But for the avid fly fishermen visiting Alphonse – get ready for an experience of a lifetime! 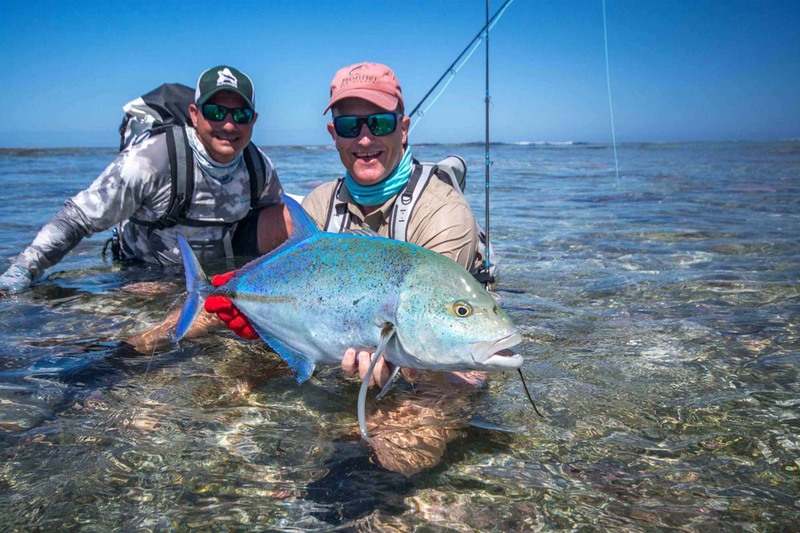 Alphonse and its neighbouring atolls are known as some of the best saltwater fly fishing destinations of the Indian Ocean. 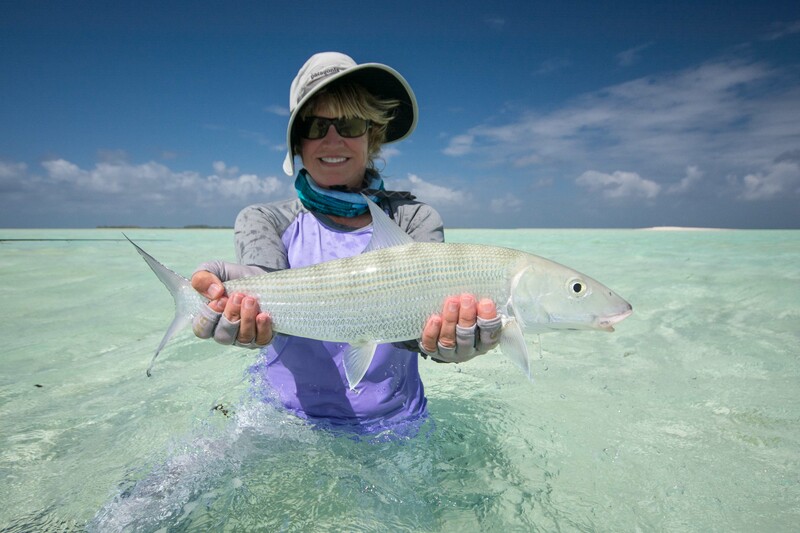 The flats and clear tropical water allows for easy wading and world-class sight-fishing. 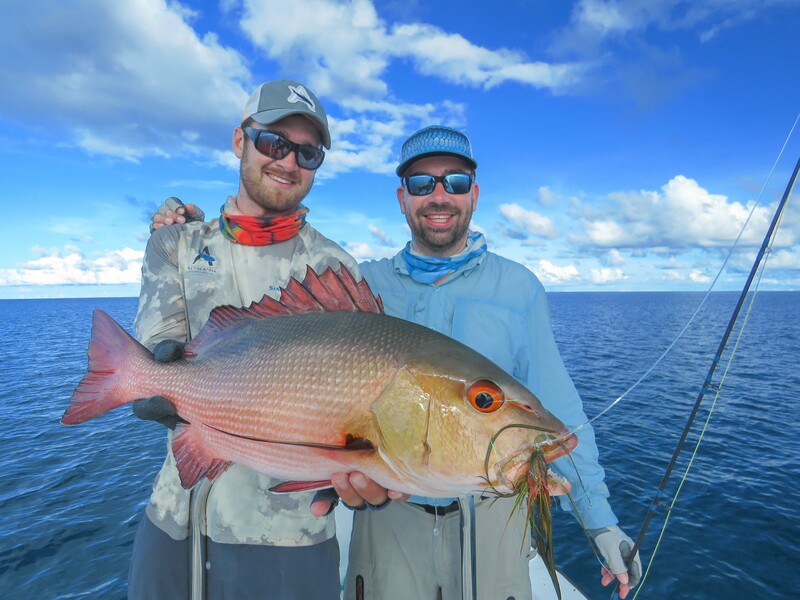 The impressive bluewater and game fish species found here along with the sheer drop-offs makes it an ideal destination for offshore fishing, conventional trawling methods and also, catching these trophy species on the fly. The variety of fish found here also ensures that guests can target a number of different species during their trip.